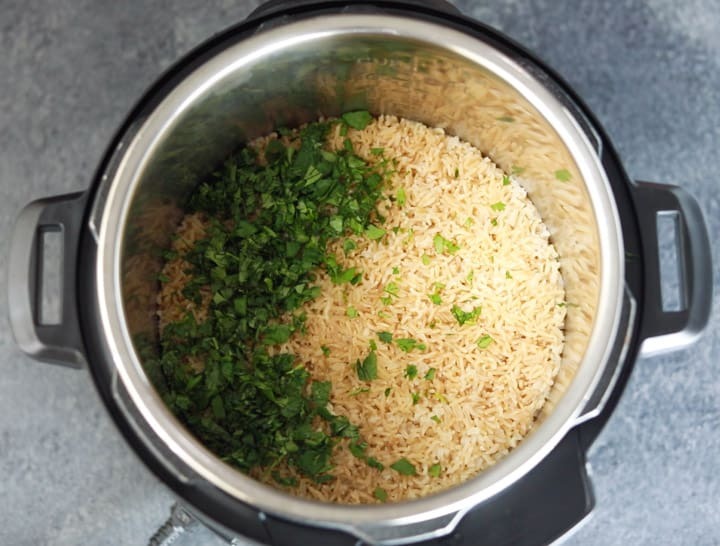 This Instant Pot Cilantro Lime Brown Rice is easy, healthy and tasty! This Cilantro Lime Rice tastes just like Chipotle’s. The fresh cilantro and lime flavors make it a wonderful side dish or ingredient for burritos or bowls! 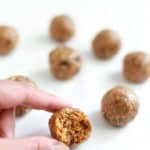 Sometimes the easiest recipes are the best! 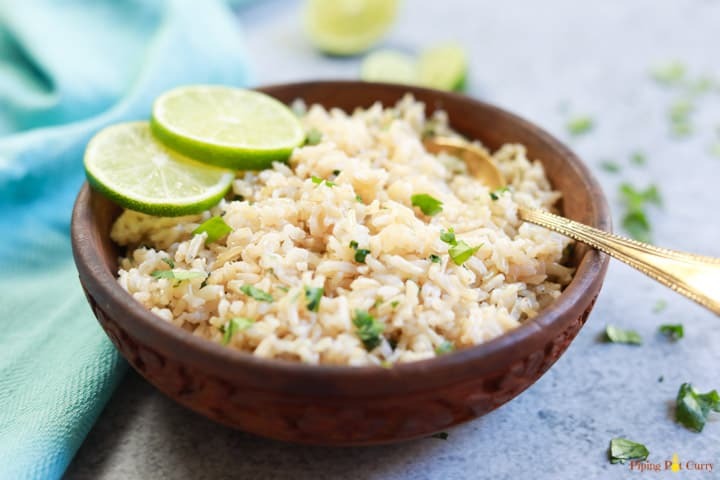 This cilantro lime rice has wonderful fresh flavors from cilantro and lime. Once you have this, you will not want to have plain rice. I always had a hard time getting brown rice to cook perfectly on the stovetop. But since I got the instant pot, cooking brown rice has been a breeze. They always cook perfectly. 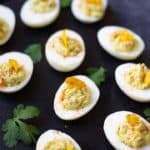 Now once I made the cilantro lime version, we are hooked to it and always love to add in the fresh flavors. I easily get bored with plain rice, so this chipotle cilantro lime brown rice a wonderful variation to tantalize the taste buds. 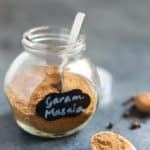 If you are new to the instant pot, do check out my beginners guide to the instant pot. 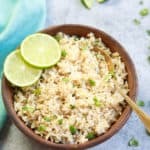 How to make Cilantro Lime Brown Rice in the Instant Pot? 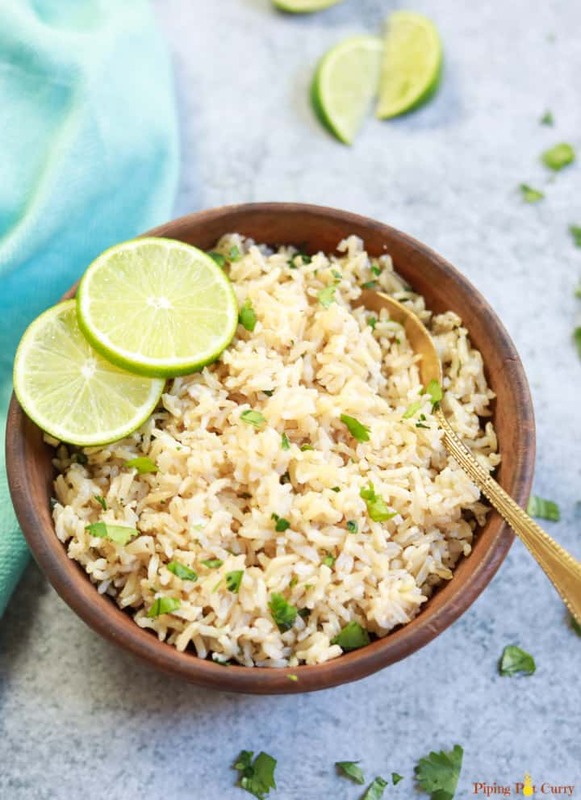 This Cilantro Lime Brown rice has very basic ingredients which you might always have in your pantry – Brown Rice, Broth or Water, Lime and Cilantro. 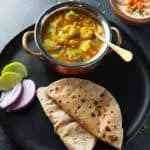 I use brown basmati rice in this recipe. However other brown rice will work too. Just make sure they are not the quick cooking brown rice. Start with rinsing the brown rice in water. Then add it to the instant pot. Add water or broth. 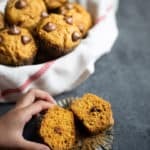 I used water when making this recipe. Broth works great and adds wonderful flavor too. Add salt and oil. I like to add a little oil, as it helps make the rice fluffy and each grain separate. Pressure cook for 22 minutes followed by a 10 minute natural pressure release. This means let the pressure release naturally for 10 minutes, then release the pressure manually. Now add in the lime juice, zest and cilantro. I like to add the garnishes after pressure cooking, so the cilantro remains fresh and the lime flavor is more prominent. Mix gently and enjoy the rice! The rice are so fluffy and perfectly cooked, bursting with cilantro and lime flavors. How to cook Cilantro Lime Rice with White Rice? Follow the same steps as above. Just change the cooking time to 4 minutes at high pressure. Everything else remains the same in the recipe. How to cook Cilantro Lime Rice on Stovetop? Follow the package instructions to cook two cups of rice on the stovetop or in a rice cooker. Then follow the steps to add the lime juice, zest and cilantro to the rice. 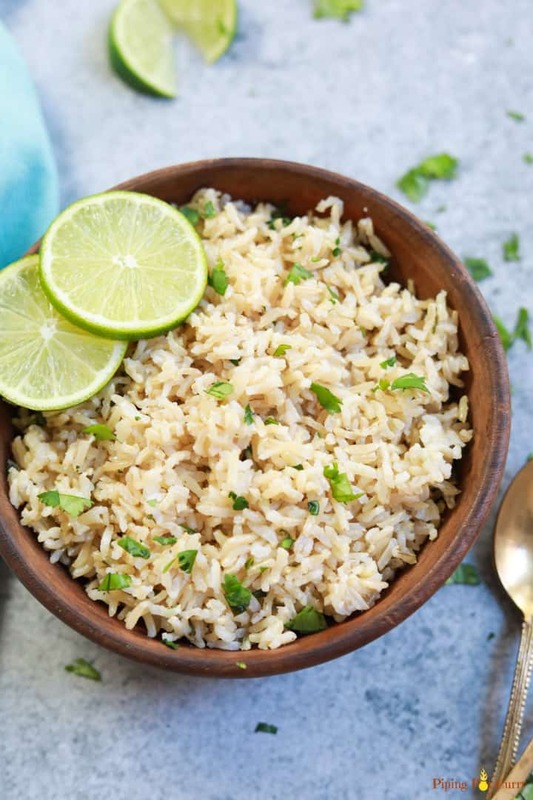 Give this easy Cilantro Lime Brown Rice recipe a try! 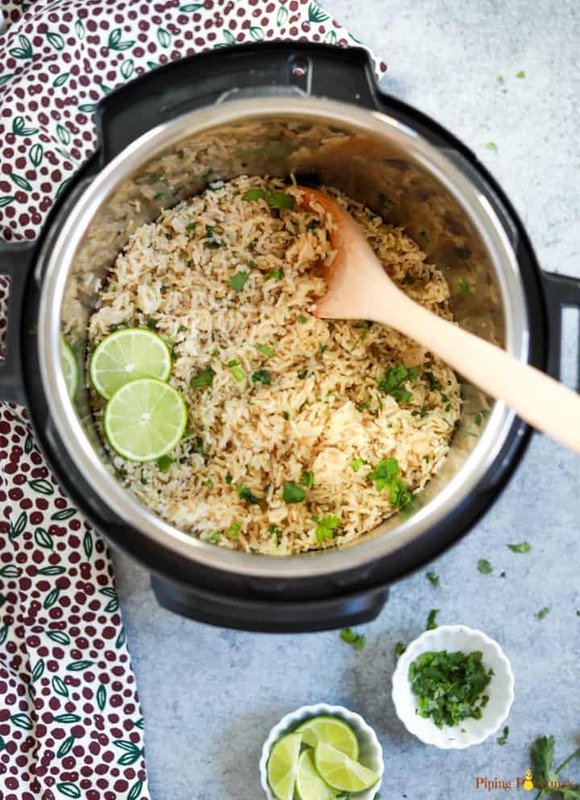 This Instant Pot Cilantro Lime Brown Rice is easy, healthy and tasty! This Cilantro Lime Rice tastes just like Chipotle's. The fresh cilantro and lime flavors make it a wonderful side dish or ingredient for burritos or bowls! 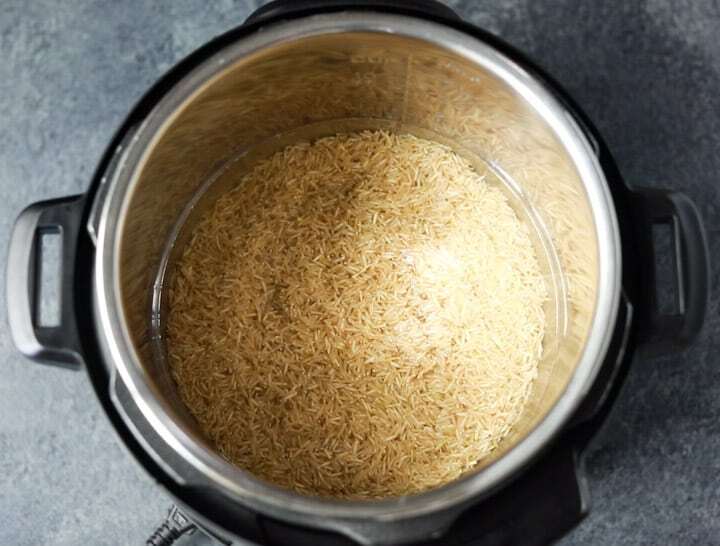 Rinse the brown rice and add it to the instant pot. Add water (or broth), oil and salt to the Instant Pot. Close lid with vent in sealing position. Cook on Manual High Pressure for 22 minutes. When the instant pot beeps, let the pressure release naturally for 10 minutes, then manually release the pressure. Add the fresh lime juice, zest and cilantro into the rice. Gently mix the rice and serve. Follow the above steps, change pressure cooking time to 4 minutes at high pressure. 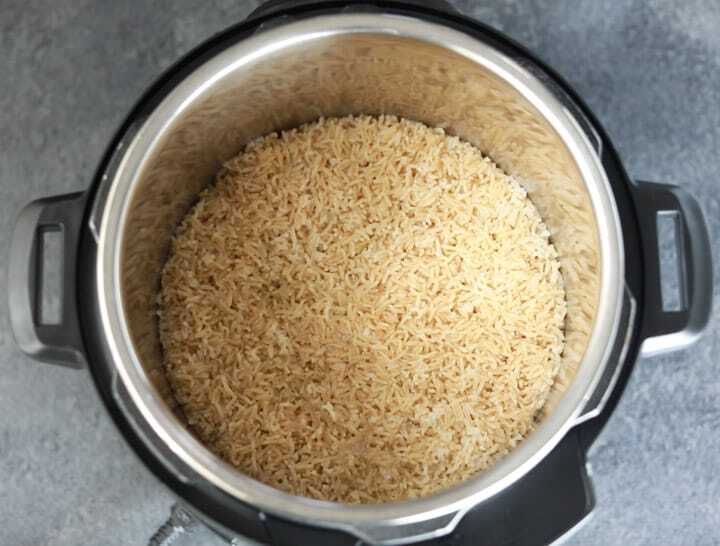 Follow package instructions to cook rice on the stovetop or in a rice cooker. Then follow the steps to add the lime juice, zest and cilantro to the rice. Using broth: If using broth that is not low sodium, omit salt and add at end of cooking if needed. Storing cooked rice: This Cilantro Lime Rice stores well in the refrigerator uptown 3 days.